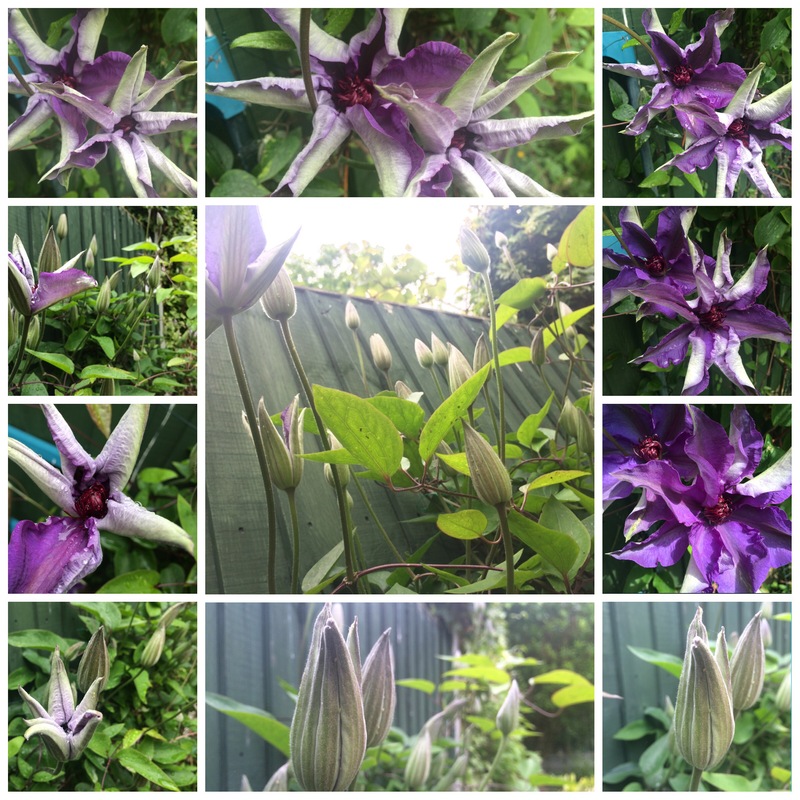 This week has been all about my clematis in my garden. 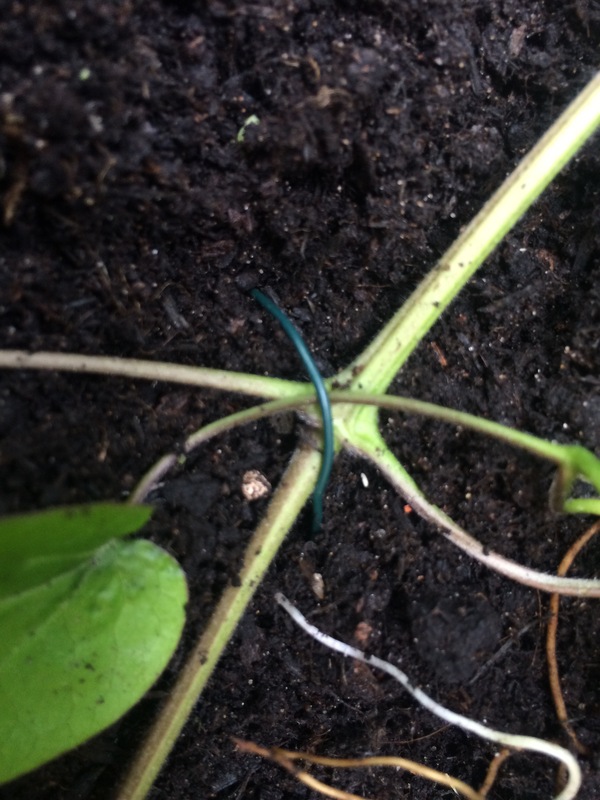 In prior weeks as the vines have been shooting out and winding around anything they can grab, they have been separated out in a fan shape along the fence and supported against a wire trellis and secured with soft garden wire. In previous years the instant impact the fully-bloomed flower heads make have been enjoyed (sometimes, if lucky, with a second round of flowers a little later in summer). A single plant can cover almost 3m X 2m square meters of space, so in Autumn and winter, its absence, once cleared away, is really felt. Because the flower heads are so large, I have attempted to capture the stages of opening. 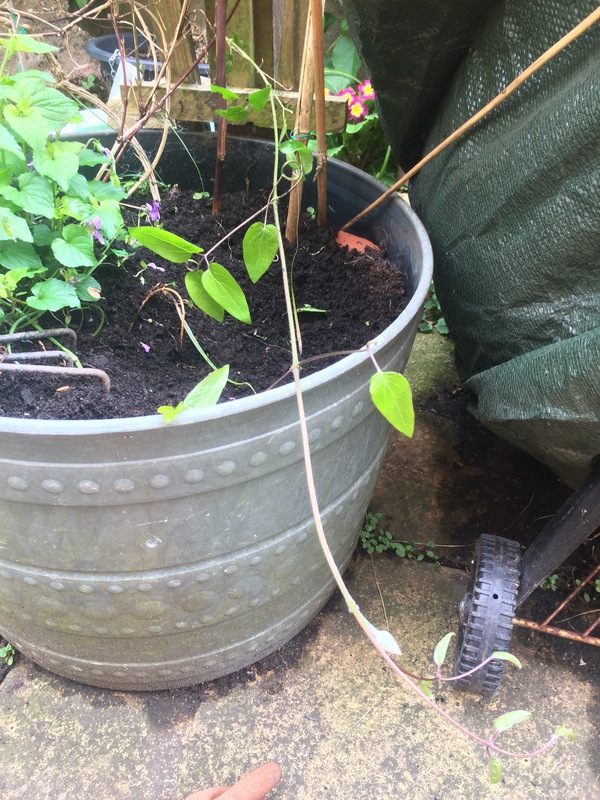 ﻿I have been reading up on how to get more out of the Clematis and it seems that the Serpentine layering method is one of the best (and easiest) methods which doesn’t involve wounding the plant or hormone treatments. Basically you loop sections of climbers in and out of the soil to encourage roots to grow along sections of the same stem. So lay down a climber, put a bit of soil on a section, leave a gap and kind on make a little hill shape with the stem then repeat with more soil at the bottom of the hill, and keep repeating until you have a good section at the tip which you can them support against a stake. The finished result is a “serpentine”. 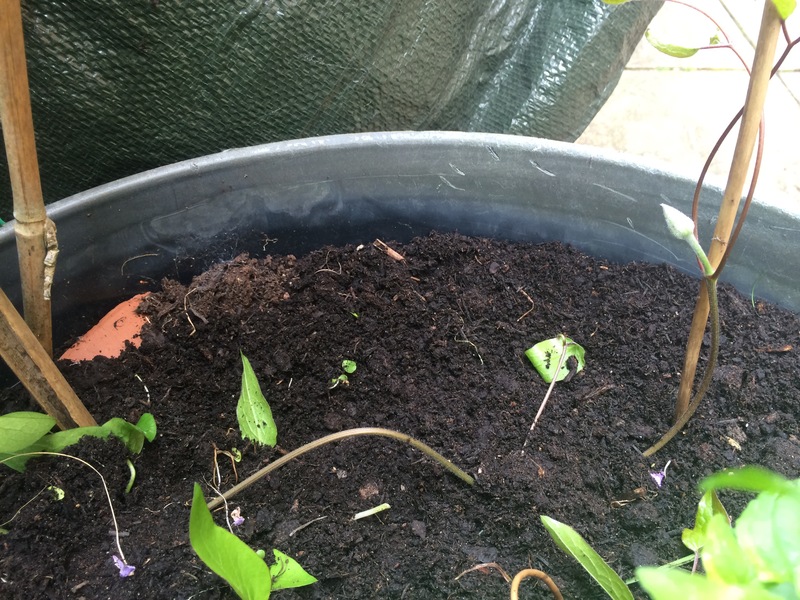 Leave the layering in place for a couple of seasons to allow the new roots to develop. To be honest, I left mine for almost a year, and it was completely fine! 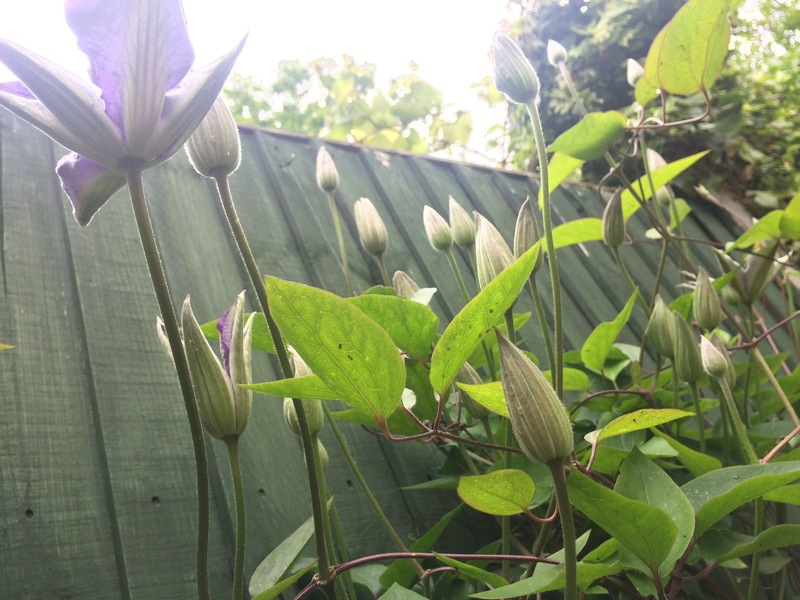 Now you can enjoy more Clematis!